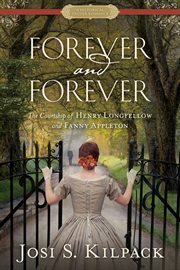 The item Forever and forever: : the courtship of Henry Longfellow and Fanny Appleton, Josi S. Kilpack, (electronic resource) represents a specific, individual, material embodiment of a distinct intellectual or artistic creation found in Kent District Library. It's 1836, and nineteen-year-old Fanny Appleton, a privileged daughter of a wealthy, upper-class Boston industrialist, is touring Europe with her family. Like many girls of her day, she enjoys the fine clothes, food, and company of the elite social circles. But unlike her peers, Fanny is also drawn to education, literature, and more intellectual pursuits. Published author and poet Henry Wadsworth Longfellow is also touring Europe, but under much different circumstances. Recently widowed, he is gathering research for a new publication that he hopes will secure his professorship at Harvard College. Befriended by the Appleton family while visiting Switzerland, Henry is introduced to Fanny and sees in her a kindred spirit, a lover of language and literature and high ideals. He is in love. Fanny, however, is uncertain. He is from a much lower social class and is older than she is. How could such a relationship ever thrive? Could a book of Henry's poetry, personally delivered, persuade Fanny to believe in a love that lasts forever and forever?